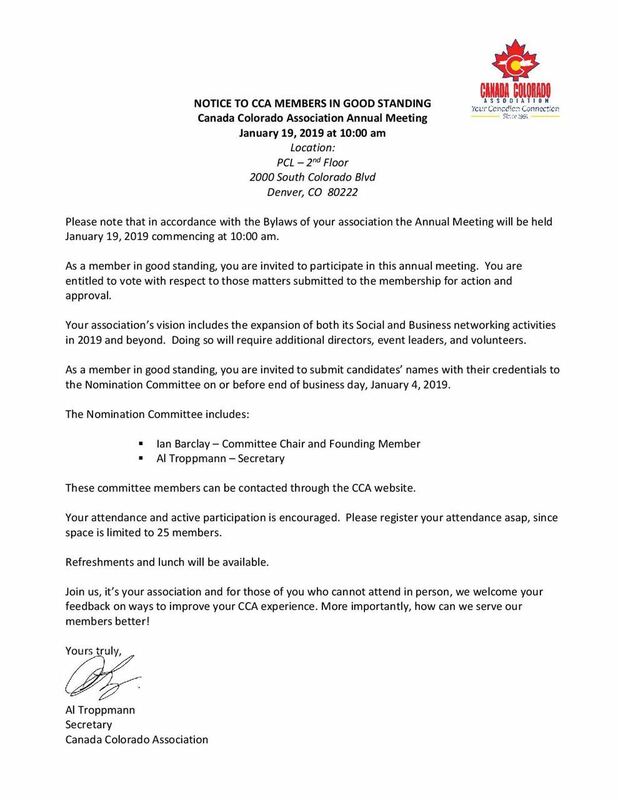 CCA's Annual Meeting will be held on Saturday, January 19, 2019, commencing at 10:00 am, and you're invited to come see what's going on! The 2018 Survey results are being reviewed and will be incorporated into 2019 activities and beyond. If you are interested in learning more about the CCA, you are invited to participate from 10:00am - 11:00am for an overview of what we did in 2018 and what's upcoming in 2019.